Readings: Introduction, Afterward and Carter chapter, The Idea of a Human Rights Museum (IHRM book). Readings: Failler and Powell chapters, (IHRM book). Michael Bernard-Donals, Synecdochic Memory at the United States Holocaust Memorial Museum, 2012, College English 74, p417. Yves Frenette, Conscripting Canada’s Past: The Harper Government and the Politics of Memory, 2014, Canadian Journal of History 49. (Before Spirit tour) Garry “Morning Star” Raven, The Seven Teachings and More. On reserve, Law Library. Wodtke article in The Review of Education, Pedagogy, and Cultural Studies vol. 37, 2015, Special Issue (REPCS). 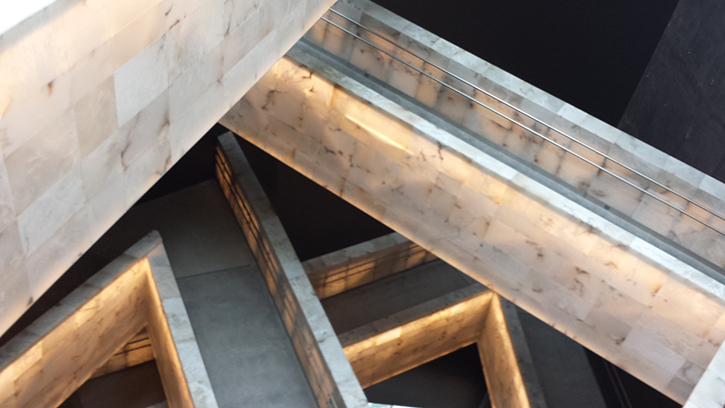 Adele Weder, Faulty Tower, The CMHR as tourist trap, Walrus, November 2014. Optional reading: Archaeological Project, Canadian Museum For Human Rights, by Mireille Lamontagne, Manager, Education Programs and Special Projects, Canadian Museum for Human Rights. Phillips chapter in IHRM book. Michael Ames, How to Decorate a House: The Renegotiation of Cultural Representations at the University of British Columbia Museum of Anthropology. Reading: World Jewish Restitution Organization, Report Concerning Current Approaches of United States Museums to Holocaust-era Art Claims (June 25, 2015). Facta filed in the Ontario Court of Appeal in Fontaine v. Canada. Watch the film Woman in Gold. Catherine Bell et al, “First Nations Cultural Heritage: A Selected Survey of Issues and Initiatives” in Bell and Napoleon (eds) First Nations Cultural Heritage and Law: Case Studies, Voices, and Perspectives, UBCPress, 2007. On reserve in the law library. Optional: Articles in Richard Sandell (ed), Museums, Society & Inequality, 2002. Nov. 2: Museum for Canadian Human Rights Violations, Dr. Angela Failler, Dr. Peter Ives and Anna Huard [written summary] [podcast] [Q & A podcast] and Branding History, Dr. Miranda Brady, Carleton U [podcast] [Q & A podcast]. Introduction in REPCS special issue. Jaeger and Nallim chapters in IHRM book. Silke Arnold-de-Simine, Mediating Memory in the Museum: Trauma, Empathy, Nostalgia (Palgrave Macmillan 2013) pp. 7-13, 36-53, 71-86, 201-204.